In this article we detail all you need to know about the Coral mobile betting app including key features, compatibility and available deposit methods as well as a step-by-step guide on how to download the Coral mobile application on both Android and iPhone. Coral claim the ‘next generation of sports betting has arrived’ with their latest mobile app which they also say ‘changes the game’ and to be fair, they have good reason to be making such bold statements. The Coral mobile app is available to download on both Android for users with operating system 5.0 and up and iPhone for users with iOS 9.0 and up. The app boasts a clean and slick interface and provides a seamless, secure and easy-to-navigate betting experience. Get access to every sport imaginable, bet on thousands of pre-event and In-Play markets and take advantage of a packed Casino featuring over 250 of the greatest games around. The Coral mobile app also features all of the promotions that are available via the main website so you can continue to profit bigger and better, no matter where you are. 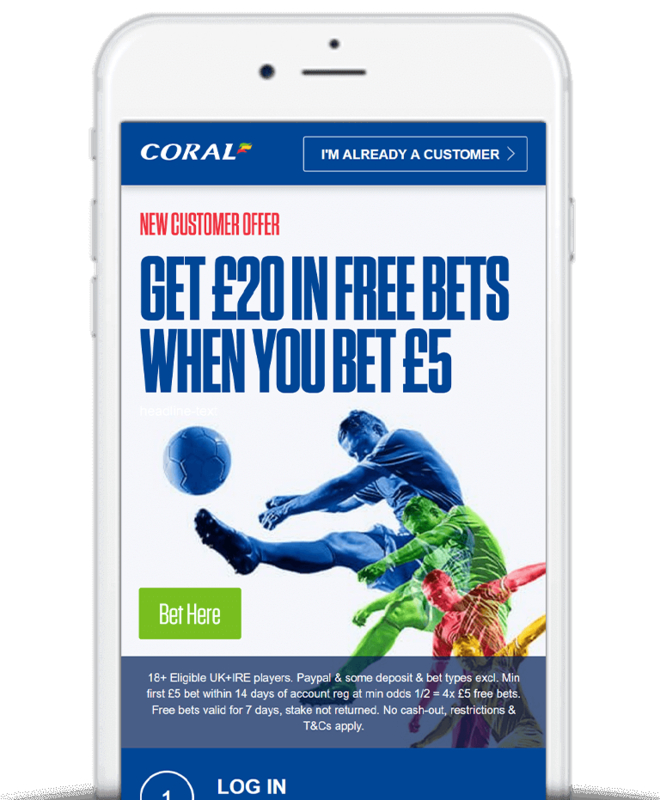 New customers downloading the Coral mobile app can also take advantage of the Coral Bet £5 Get £20 in free bets sign-up offer. Just open an account and place a £5 bet at odds of 1/2 or greater and Coral will instantly credit you with with 4 x £5 free bets, as outlined below. Daily Price Enhancements – Exclusive to the Coral mobile app. Bet & Get Club – Stake £25 each week and get £10 in free bets. Live Streaming – Of all UK & Ireland horse racing, selected greyhound meetings, football, tennis, rugby, darts and more. Thumbnail View – Allows you to live stream while navigating the app. #YourCall – Create and request your own unique bets. Build Your Bet – Build your own unique bet on a number of football markets and instantly get a price. 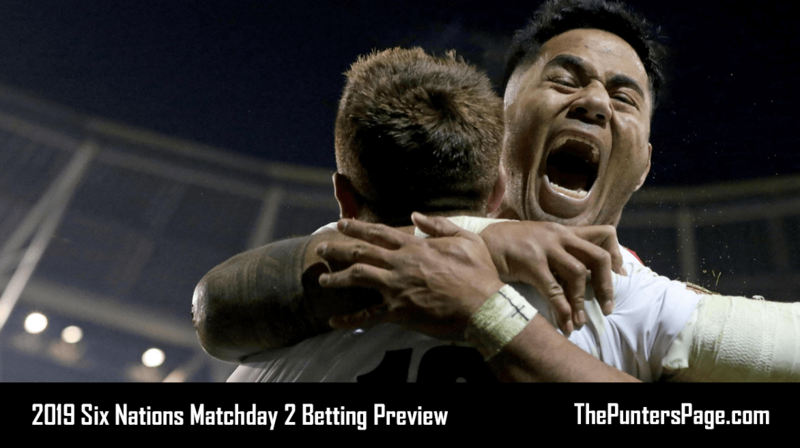 Player Bets – Bet on player performance across a range of statistics and sports including football, NBA, NFL, AFL and NRL. 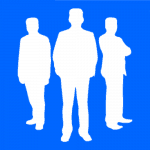 Favourite – Select markets to track directly. Cash Out & Partial Cash Out – Settle all, or part of your bet, before an event has finished. Coral Football Jackpot – Correctly predict 15 results to win a guaranteed weekly jackpot of £100,000. Acca Boost – Boost your Match Result, Both Teams To Score, To Win & Both Teams To Score acca winnings by 10%. Win Win Get In – Double your Match Result single bet winnings if your team wins both halves. Live Casino – Play with real live casino dealers on Roulette, Blackjack and Live Baccarat. Bingo – Access Coral’s exclusive rooms. Poker – Including Speed Poker and Jackpot games. Lotto – Via Coral’s new product. The table below displays the software requirements in order for you to be able to download the Coral mobile Android and iPhone app. The table below features deposit methods that are currently available via both Coral mobile Android and iPhone apps. Search ‘Coral Sports’ on the Google Play store. Search ‘Coral Sports’ on the App Store. Coral’s Android and iOS apps have been available to download for a number of years now so there are plenty of reviews for us to look at on the Google Play Store and App Store to get a good idea of what users think. Coral’s Android app has achieved an average rating of an impressive 4.1 stars on the Google Play Store while their iPhone app boasts an even better score of 4.3 stars on the App Store. We struggled to find many negative reviews. What we did see however was that users found the Coral mobile app fast, clean and extremely easy to use. As you would expect from a bookmaker with such a huge presence, both on the high street and online, the Coral mobile application is amongst the best. The Coral app, which is available to download directly from the Google Play store for Android users and the App Store for iPhone users, focuses on simplicity and provides one of the easiest and quickest ways to watch and bet on thousands of markets and an unbeatable choice of sports. If you’re looking for an all-round enjoyable mobile gambling experience, then you will appreciate the conveniences that the Coral mobile app brings to the table, or quite literally, to the palm of your hand.